As our 2016 season of workshops has now come to a close we’re turning our attention to planning for 2017, but I thought a quick look back at our sixth year of workshops would be in order first! 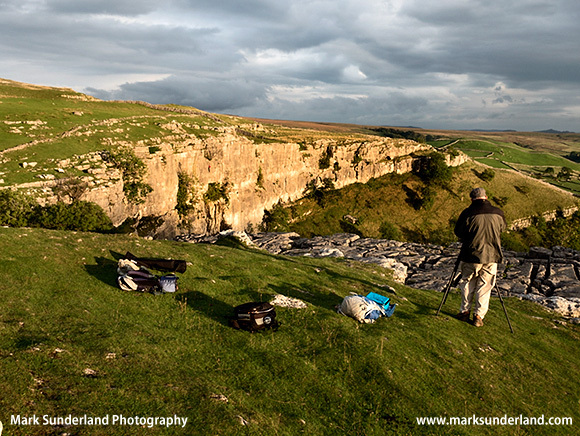 Our visits to Malham proved to be as rewarding as ever throughout the year. It’s always a fun workshop in the summer months (especially when it’s dry and we can sit on the grass next to the beck and admire Gordale Scar over lunch!) However, I particularly like the March and September (or 1st October this year) workshops which are timed to give the opportunity for a decent sunset at Malham Cove at the end of the day. In March the day was pretty overcast so there was no spectacular sunset, but the diffused light gave us some great opportunities for photographing in the woods and also from the viewpoint above Gordale Scar. The October visit, however, produced a glorious sunset – one of the best we’ve seen on a workshop! 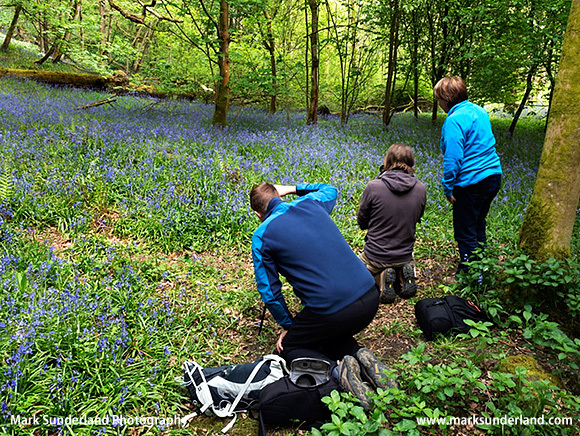 We had two sold-out spring visits to Bolton Abbey and Strid Wood where our participants were rewarded with a fine crop of bluebells this year, particularly on the May workshop. Our three visits to Aysgarth and West Burton during the year provided markedly different conditions on each occasion. Heavy rain during the week before the workshop in March made the waterfalls raging torrents – probably rather too much water for West Burton Waterfall but the Upper Falls at Aysgarth looked great. 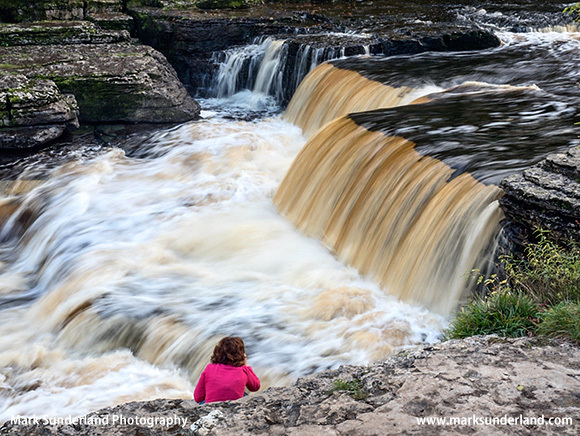 The June visit was much gentler with West Burton Waterfall looking rather more delicate (featured image) with the October visit being somewhere between the two favouring the Lower Falls at Aysgarth with its wonderful peaty colours. We had a new workshop on the schedule this year at Ribblehead taking in the famous viaduct, lots of limestone pavement, boulders and lone trees and great views of the Yorkshire Three Peaks along the way. 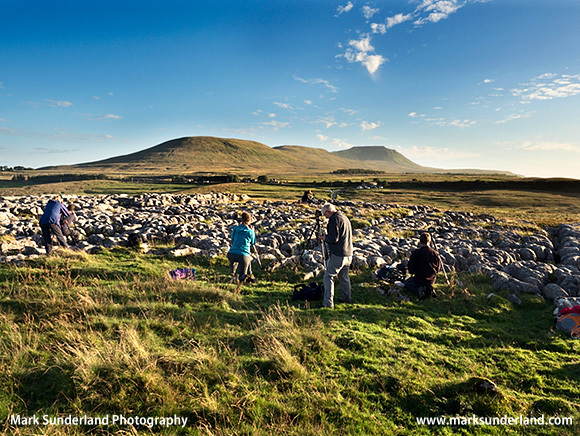 We were fortunate with a lovely fine day which was finished off nicely with a sunset shoot from limestone pavement looking down towards the flat-topped peak of Ingleborough. It’s quite a long walk but our group enjoyed it and we’ll be adding it to the 2017 schedule soon – keep an eye on the website for our 2017 workshop dates and we hope to see you on a workshop next year!